Listonic - How do I sort the items on a list? 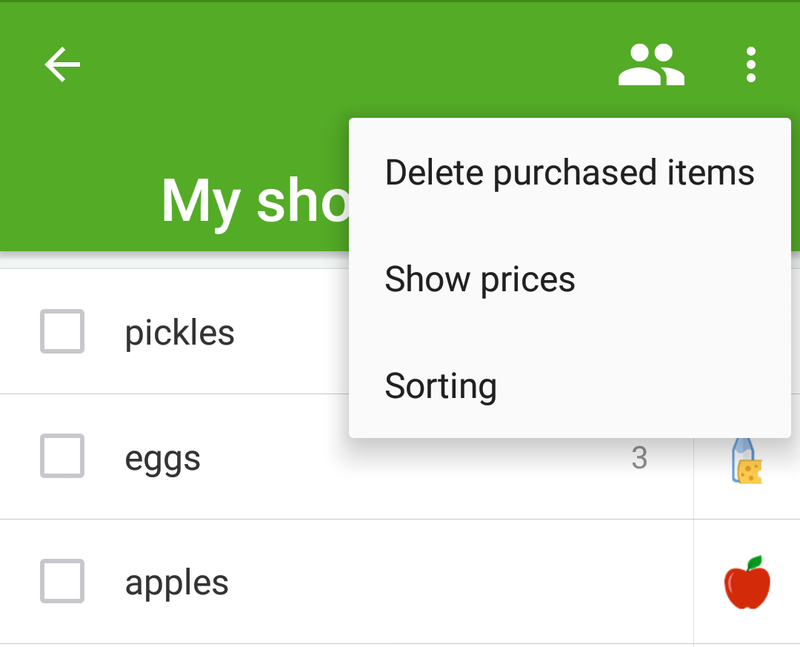 You can sort your list in three different ways. You can choose the most convenient to you. Tap the “More Actions” (…) button in the upper right corner. Choose one of the three sorting options from the menu at the bottom of the screen. Alphabetically - lists are sorted automatically. 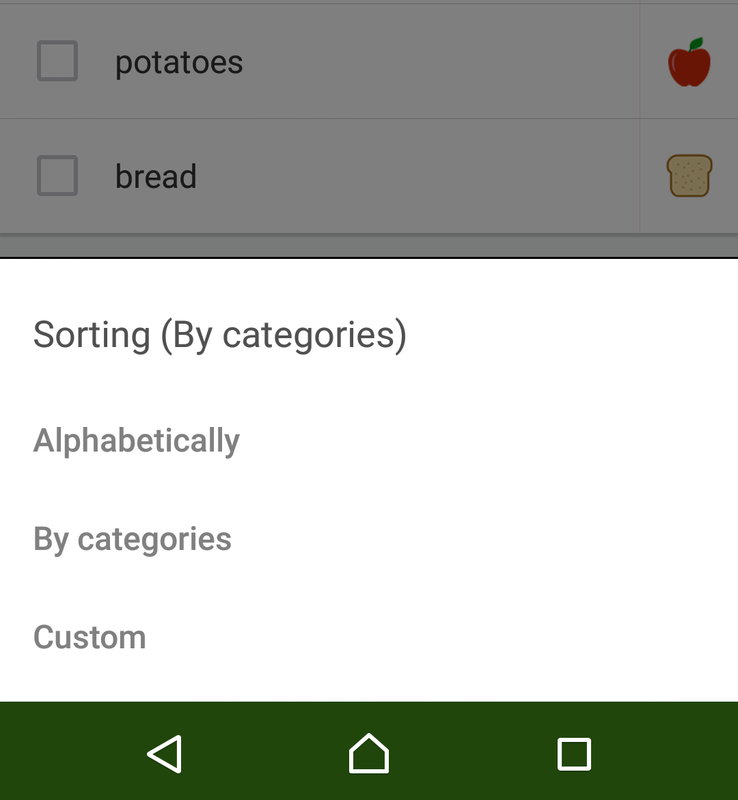 By categories - lists are sorted automatically. Custom order - if you choose custom sorting, you'll see "Twelve dots icons" instead of "Category icons." In order to relocate the products, press and hold the icon and move the product into another place.